This is a poster that I´ve designed to invite my students to participate in four different competitions between my three classes. 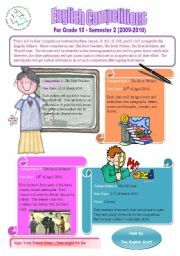 By doing these competitions, the students will interact, have fun, and like the English subject more. 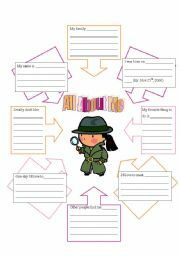 There are many projects´ plans for my students to get an idea about their project, choose a task for each member in the group, and start planning, writing their report and presenting their topic. I found it wonderful..
My students wrote a dialogue in groups and then I asked them to act it out. While they were acting out, I evaluate them and choose two other students from the other groups to evaluate them as well. It was a nice way to engage the students in the evaluation process and they love it. 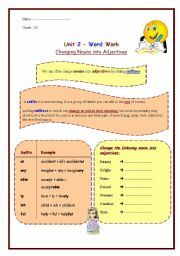 This worksheet can be used to let the children practice changing nouns into adjectives. They can read the definition and the examples before they start answering the questions. 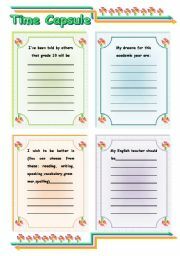 I sent a document called "Ideas for English Competitions" http://www.eslprintables.com/printable.asp?id=385998#thetop from around a month. 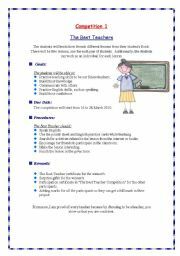 Now, I´m sending this document as it contains the descriptions of the previous competitions. Hope you can get benefit from them. 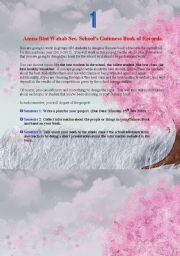 By using this form, you can evaluate your students´ work of designing a month calendar. I used this sheet to let each group evaluate the presentations of the other groups. They like it and were interested to evaluate their friends. This powerpoint is designed to let the students practice speaking. The student will choose a number, read the question, and answer it by speaking. They are mainly general questions that the students can speak about easily and not about information. This is a speaking activity about animals to introduce the theme of animals to your students. You can teach your students the different types of accidents by showing them some pictures from the following presentation. This powerpoint is designed to teach the students adverbs and adjectives as well as using adverbs and adjectives to compare between people and things or verbs. It also includes an example for each rule. 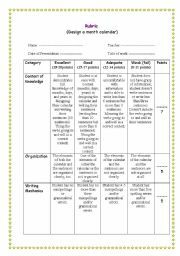 By using this form, you will be able to teach your students how to plan to write an essay. You can either display it on the screen, or print it out for your students to fill in before starting to write their essay.